hi!,I love your writing so much! share we communicate more approximately your article on AOL? I require a specialist on this area to unravel my problem. Maybe that's you! Having a look forward to see you. Hello there, I discovered your blog by means of Google while looking for a comparable matter, your web site got here up, it appears to be like good. I have bookmarked it in my google bookmarks. Hi there, just changed into alert to your blog through Google, and located that it's truly informative. I'm gonna be careful for brussels. I will appreciate if you proceed this in future. Numerous other folks will be benefited from your writing. Cheers! 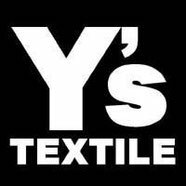 © Y's TEXTILE 2004-2019All Rights Reserved.